There are currently 29 users and 2411 guests online. I've been mulling over this idea recently. I've often been asked for info on launching at Emu Point - Oyster Harbour down in Albany and thought it might be a good (or cr*p) idea to collate info on boat launching at various locations. This doesn't have to just be about hard stand boat ramps, it can include beach launch locations as well. In fact, in regards to the latter, often it is more important as there's usually no man-made channel and therefore natural underwater obstacles/reefs/bombies to consider, and then there is also weather/swell considerations due to diminished shelter. Other considerations with a beach launch could include how hard/soft the sand is (type pressure requirements), condition of access track etc. Each post on a location/facility could look something like this: (although open to suggestions/improvements if there is interest, willingness to commit etc). These can be periodically updated when people use these facilities/visit locations. LAUNCH TYPE/Facilities - PUBLIC RAMP/2 Concrete Ramps with central slim finger. - Gets very busy Christmas/School Holidays so best to get down before 07:00 am. - Tendency for non trailored cars to park in boat bays - no bosun or other control. - Good ramps with shallow decline. - A long bending, often narrow channel leads out to King George Sound. The channel is well marked, but care must be taken not to run aground. - Care must be taken when launching/retreiving due to the number of pedestrians and cyclists - especially during the busy season. EMERGENCY COVERAGE - Albany Sea Rescue (VMR610) base station is located here and therefore provides 24 x 7 coverage. OH! One more thing. We could include at least one pic in each post - you could even mark it showing best route in/out - identify obstacles - any pointers on the pic that would be of assistance. Soon to be de "dreamweaver" ed! - Gets very busy March through to August on good days. - The moored areas are 8 knots. - Remember to have a cold beer for the drive back to town! - Exmouth Sea Rescue is manned on the weekends and monitored during the week. Just after launch, what the old ramp looked like. 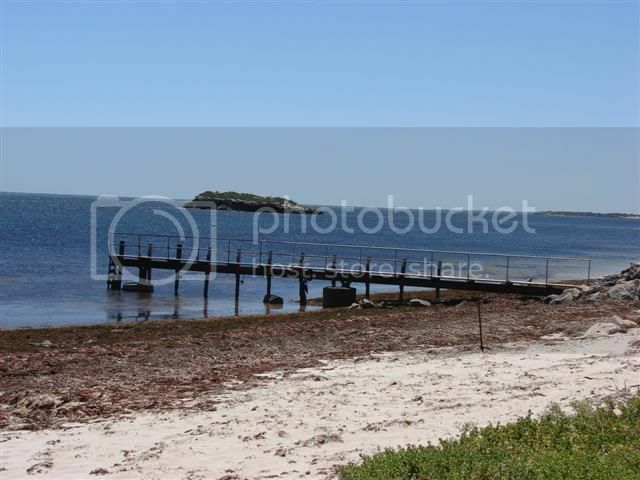 LOCATION/Sub Location/Facility - EAST FREMANTLE/Between Aquarama and Leeuwin. 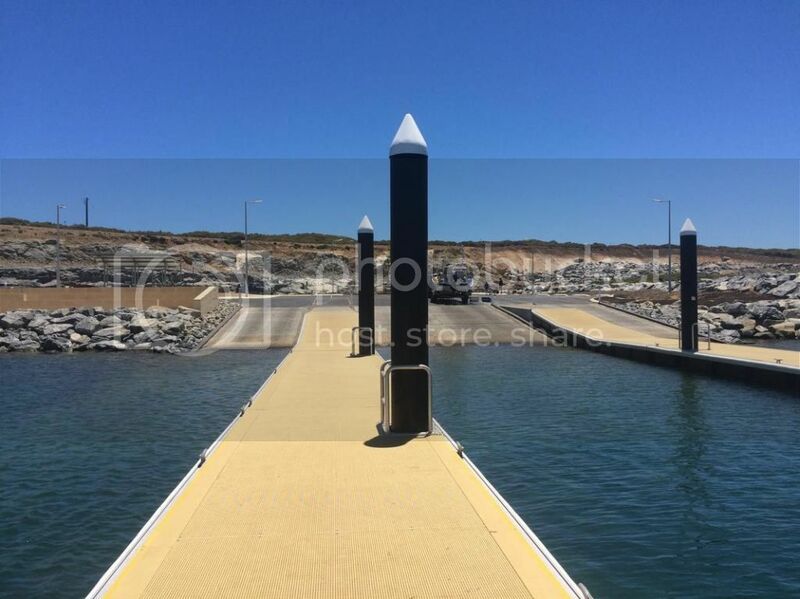 LAUNCH TYPE/Facilities - PRIVATE RAMP/1 Concrete Ramps with medium finger with front L.
- Must be a member to legally use it - though they make exceptions on the Rotto swim boat support. - Shallow decline ramp that, due to river weed, can get very slippery - excellent for aquatic single point landings on your bum! - Great bar facilities overlooking the water. - No Boson supervision so can be dissapointing from a idiot free launch vs fees. - Absolute PR*CK of a current at times and the unwary can end up playing (not so)dodgem cars with the pen sticks nearby. - Don't even try and find an evening parking spot if there is a function on. 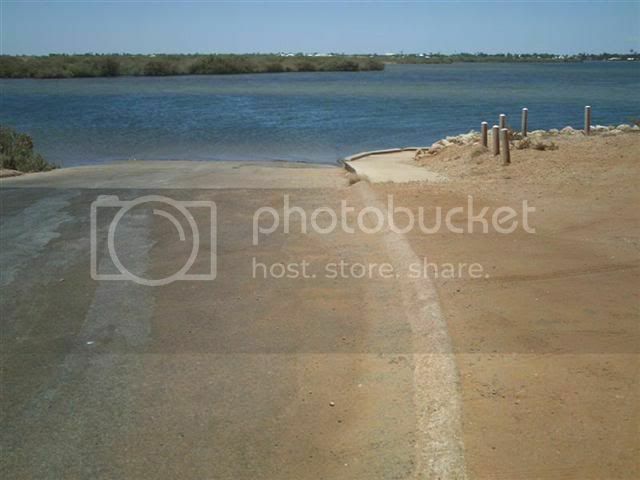 - No designated boat trailer bays - first come first served. EMERGENCY COVERAGE - Fremantle Sea Rescue provides 24 x 7 coverage for typical areas fished. - Faces south into a protected bay but still suffers from swell. - Once launched you need to head slightly east before turning the corner north west. 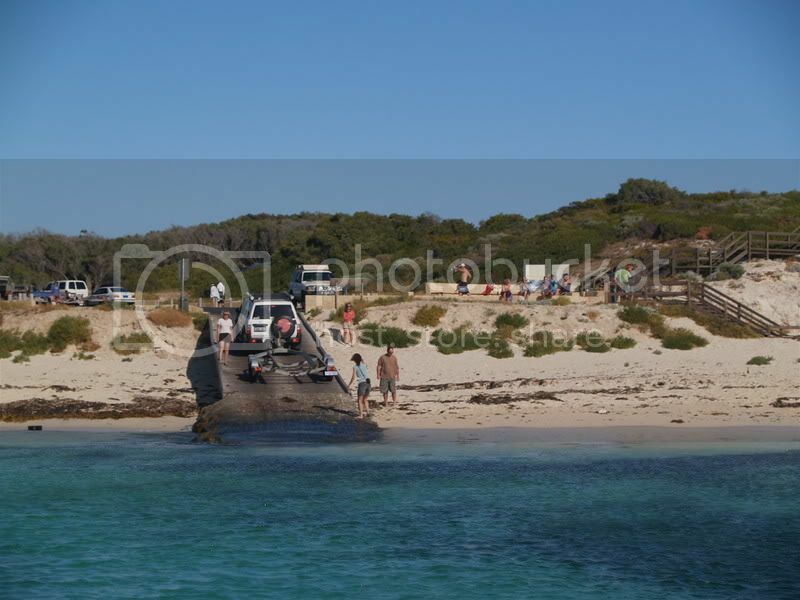 - Soft sand so will need ramps to assist when pulling the boat out. EMERGENCY COVERAGE - Contact either Geralton or Kalbarri by phone as not to sure about radio coverage. There is a small shop for food and drinks and a caravan park for fuel. It is best to take everything you need. 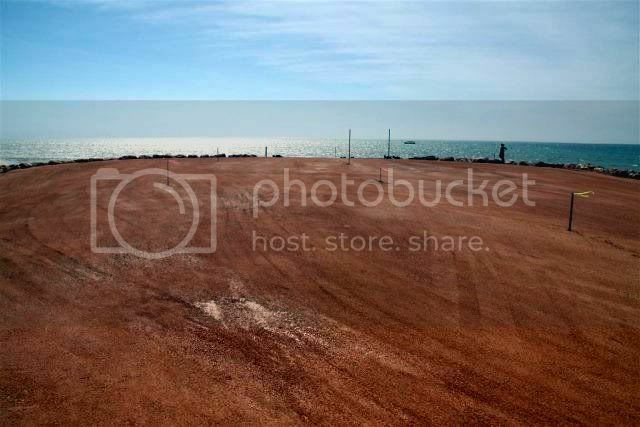 - Large car park, but 500m walk to vessel. - Easy beach launch on good days. - Be careful when parking your vehicle after launch, tide and swell moves the beach significantly some days. - Water movement on retrieval can make life difficult. Having deflated tyres before launch will certainly increase chances of successful retrieve. - Can possibly bribe locals to retrieve with tractor if the conditions turn bad. - Popular on holidays, its a good thing to see other boats out there in that stretch of water! - Heaps of Parking - Reasonable ramps with shallow decline. 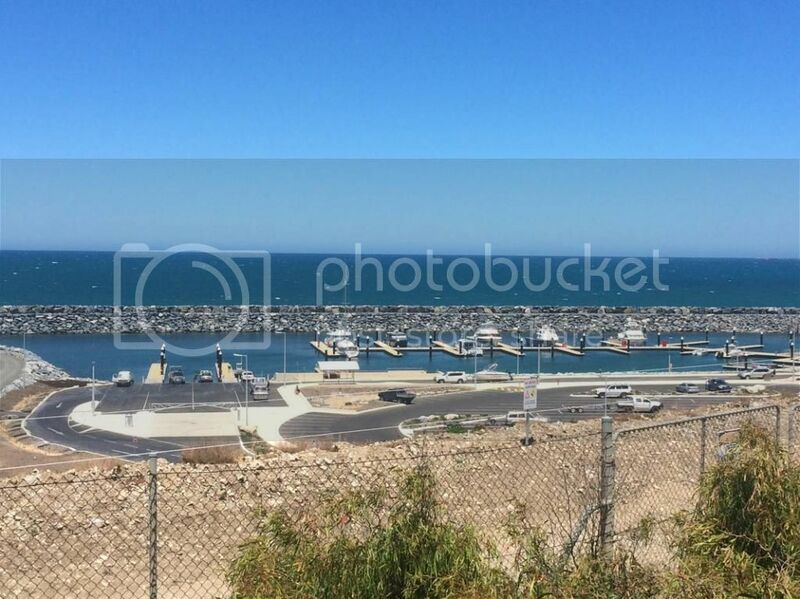 - Turn west as you head out from the marina, you will notice two reef breaks. One is inshore about 1nm north west of the entrance (Quinns Rocks) and the other main break is Directly west (Staggies Reef). Both these reefs break in anything over 1m swell so should be visible. If travelling west take the south west leads, just to be safe as the major reef line can break in different places when swell is up over 2m. - Protected launching and retrieving allthough there is only one retrieve lane, so either time your return or expect a lengthy delay to retrieve. - 2 Pubs very close by and washdown facilities in the carpark. EMERGENCY COVERAGE Local Sea rescue VJ6LQ channel 90 for log on and log off. Bad reception inside the marina so make sure you log on and off about 500m outside the marina. Hopefully someone has a good pic. - take note of the 4WD recovery number posted on sign at the ramp. - Timber can be slippery when wet. Head down to the river (left at the servo, off the main road coming in) down to where the fish & chips shop, BBQ, Caravan Park etc is all located. The boat ramp is basically at the eastern end of the car park. LAUNCH TYPE/Facilities - Sand, 4 wd required. Small boats may be ok for 2wd as sand is normally very hard. 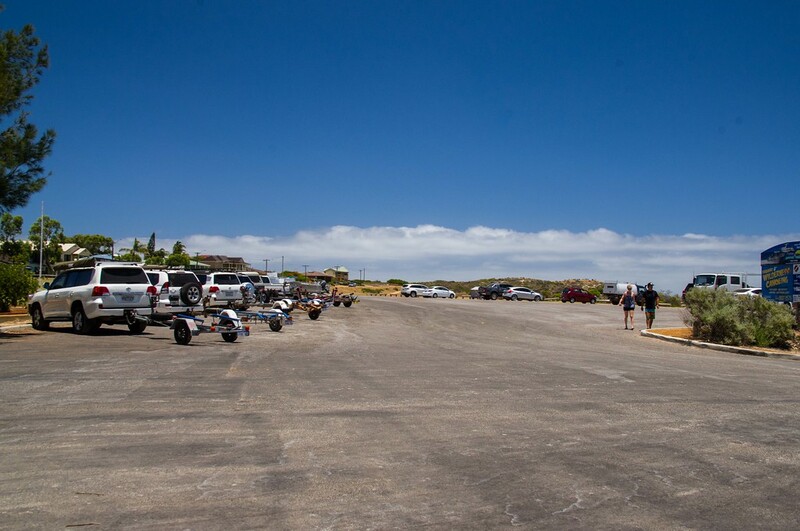 It would be helpful if people stated suitable for 2wd or 4wd and gps data for car or handheld units so that you can find where the boat ramp actually is, not just the town. Phones often have gps built in. You could put that info into google and look at it before you leave. I found finding Salvation Harbour took a bit of searching and if I didn't know Guilderton fairly well, wouldn't find the boat ramp from the details on here. LAUNCH TYPE/Facilities - 1 concrete ramps, no finger jetty. - Don't think toilets at boat ramp but there are public toilets about 300 m south near the jetty with shops there as well and still within the marina. 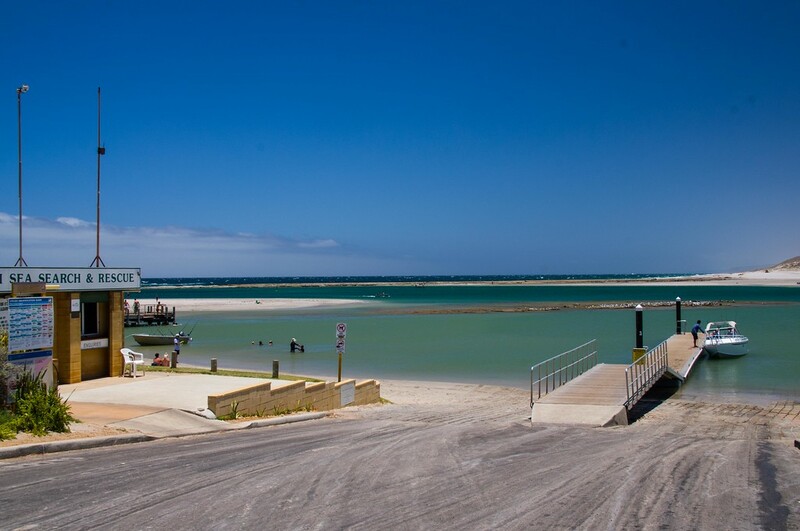 The one with the jetty is the town ramp and the other is the Pelican Point ramp. 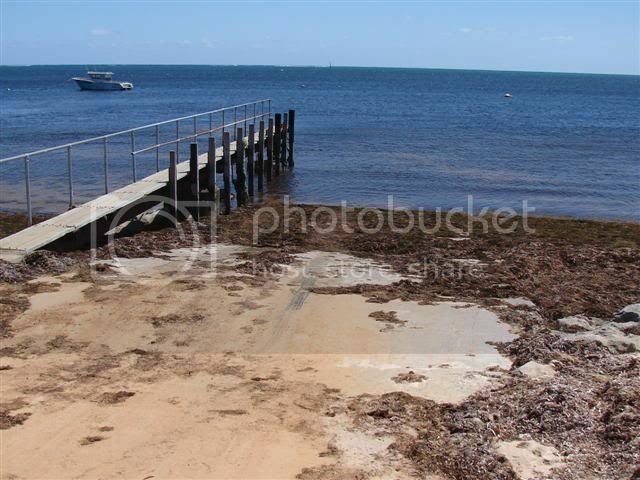 The town ramp can be a problem when tide is low as jetty is too high to access boats easily. When it is a spring high tide it can be hard launching due to the top section of the ramp being too flat. Small boats can be launched/retrieved from the right hand side of the jetty by 4 wheel drive. It is located in the main boat harbour at the end of Douglas street. The Pelican Point ramp is steep, has no jetty, slippery to walk on and there is only space for about 10 cars and trailers. The ramp is located on the opposite side of the Fascine from town, via the Babbage Island, main beach road. 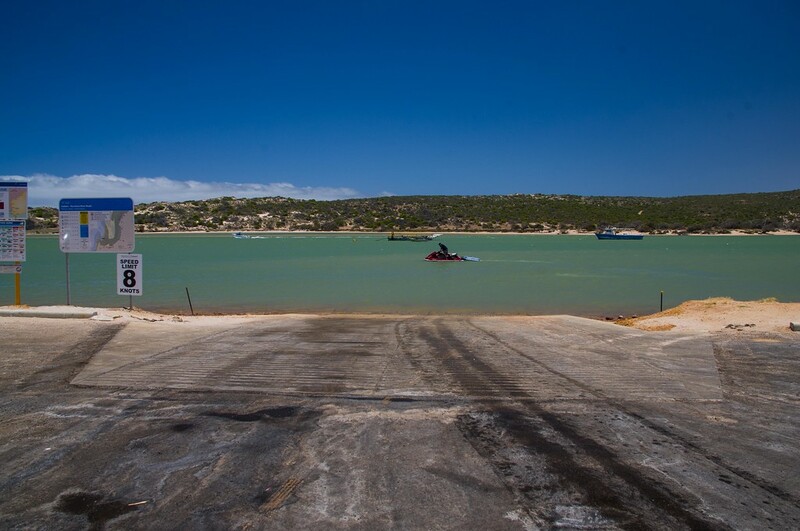 Boat owners in the Gascoyne have been given access to the new Carnarvon Boat Ramp in advance of the formal completion of the $3 million project. 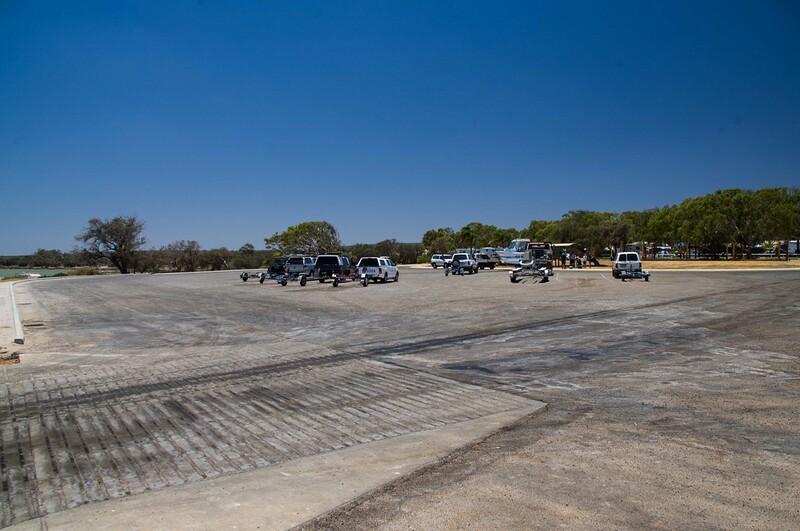 Department of Transport (DoT) General Manager Coastal Infrastructure Steve Jenkins said the facility's new parking area, with provision for up to 77 vehicles and trailers, had been completed along with work to raise the inshore sections of the jetties. "While not fully complete the project is at a stage where the marine infrastructure is in place and the facility is safe to use," Mr Jenkins said. "The final stage of the project including the construction of a toilet block and fish cleaning facilities will start early in the new year and once complete will complement the existing facilities on site." Mr Jenkins said boat owners using the new ramp were reminded to observe recently introduced safety measures for the Fascine. 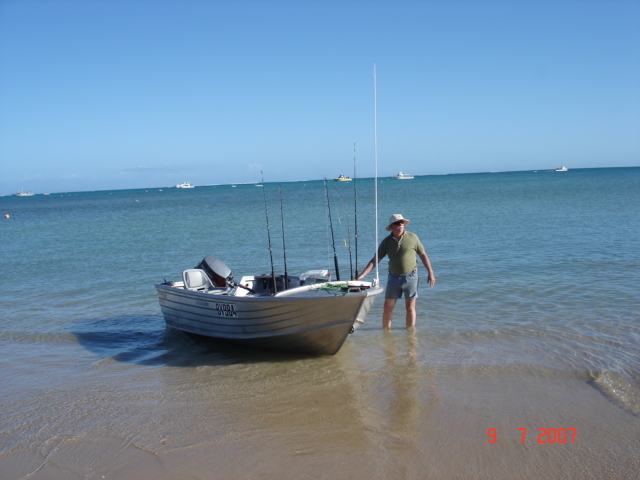 DoT in consultation with the Gascoyne Community Boating Group, the Shire of Carnarvon and relevant government agencies, developed a formal Aquatic Use Plan for the Fascine to increase safety and avoid future conflict between users. eight new navigation markers and a new synchronised rhythmic lighting system providing a much safer boating channel for vessels transiting the Fascine day or night. Thanks to Roberta and Bob Kennington. Leeman Town ramp at low tide. Sea Rescue Ramp both with weed, Summer time is just sand. Leeman has two ramps, one is called Town Ramp and you can get in and out with 4WD or 2WD (if careful). Have to put up with a lot of weed, especially if council doesn't clean frequently. Get in early not a lot of parking. Second ramp is the Sea Rescue ramp which was put in privately and is slightly steep and slippery with sand. It's better to use 4WD, not bad parking but get in early if you don't want to walk too far, follow bouys out, reefs depending on tide. Apparently sea rescue has applied for funding for new jetties, approved but when will it happens? Southerly blows bit tricky on both ramps to retrieve with surge but usually somebody is around to give each other help on surgie days. Hope these photos help, I think this is very good idea gives boaties chance to see what they are in for when going away to spots you don't know. 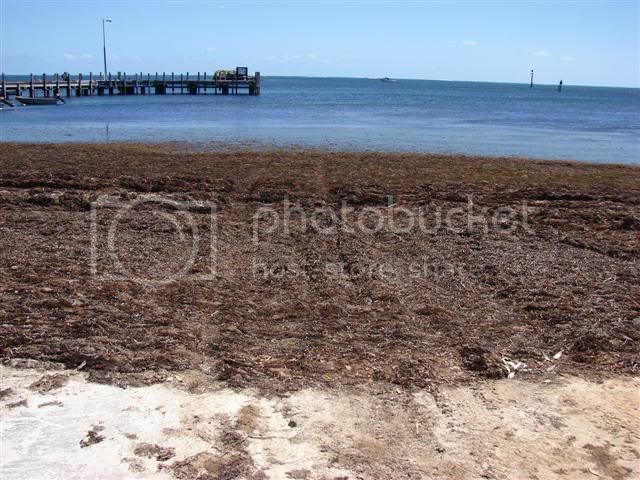 Greenhead has fantastic ramps, plenty of parking also Jurien Bay excellent. Also Leeman Sea Rescue. Sunday arvo saw about 4 trailers washed sideways off the concrete, one nearly broken leg as boat washed sideways onto bloke, 5 cables snapping, one boat on the concrete, one trailer popping off the tow ball. Surprising how many do not engage 4WD when using a 4WD! Worst was the group that had all of the above (I was helping with the winching, thinking this rusty piece of crap is going to ........snap!). No problems with my rig though, good organised crew helps with back up plans and 1st low engaged. Was a 2 metre swell outside. The old dunsborough ramp is on the eastern side (or is it southern???? anyway it is on the other side of town to Perth) Is reasonable but not sure if you have a big boat. The other one is at Quindalup... follow the beaches from Dunsborough back toward Busselton for a few kms and you will find it. Both are suitable for 2wd but quindalup can get nasty when the wind comes around the Cape. Location: Heathridge. Toys: 120 Series Prado ... 5.3 Stacer Seamaster/Merc 90HP. The Old Dunsborough ramp is a bugga of a ramp for launching by just one person, the area surrounding it is rocks with just a small area ( maybe less than 2 Mtrs) of sand surrounded by rocks, this is the only place where you can place the boat while you take the trailer back up to the free carpark area. I use it when I go out into the Southern Ocean, rather than run down the coast from the terrific facilities up in Busselton which I use if I'm going out to Geographe bay reef area. I now use the Quindalup concrete ramp at the sea rescue base on Geographe bay just a bit north of town. Has a reasonable jetty and 2 ramps, one each side, can recoment it. I am heading down to Busselton next week. I have seen boat trailers parked about 3-4km south of the Busso Jetty. On GoogleEarth it looks like a little beach launch. It is the corner of Geographe Bay Rd and Dolphin Rd. Would I be OK getting a 6m glass boat in there? I am staying at Mandalay so I may have to head to Port Geo Marina if not. Any other suggstions? 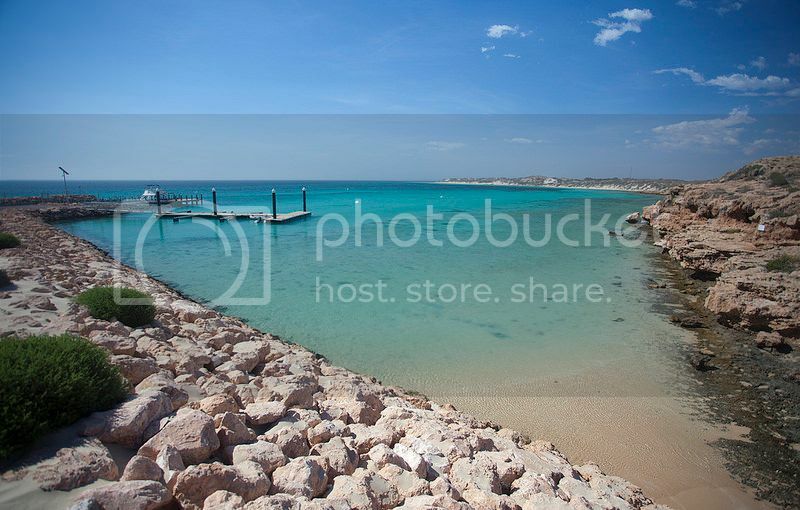 3-4km south of the jetty will put you somewhere close to the Shell road house.The jetty runs north\south. If your deckie (aka Missus!!!!) 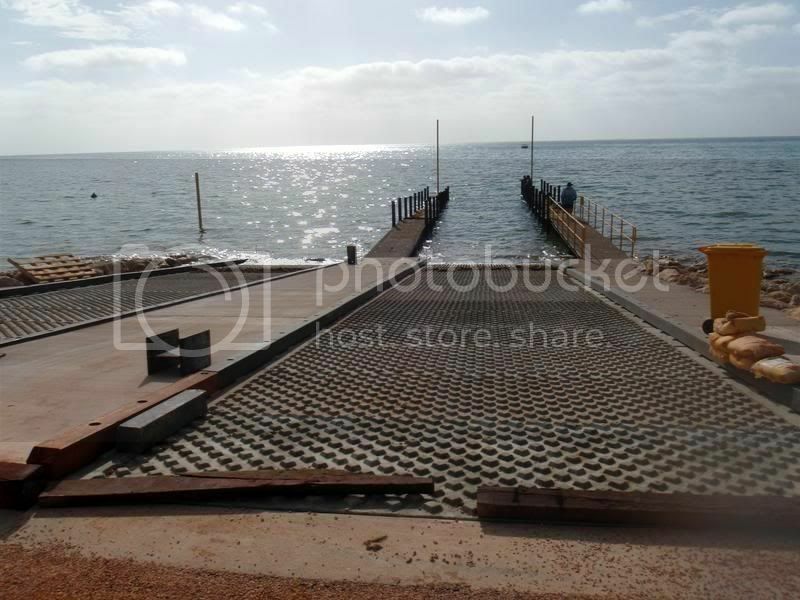 doesn't want to get wet feet then head down to Quindalup Ramp near Dunsborough as it has a finger jetty!! LAUNCH TYPE/Facilities - Concrete ramps, with finger jetties. No wash down facilities - Toilets. 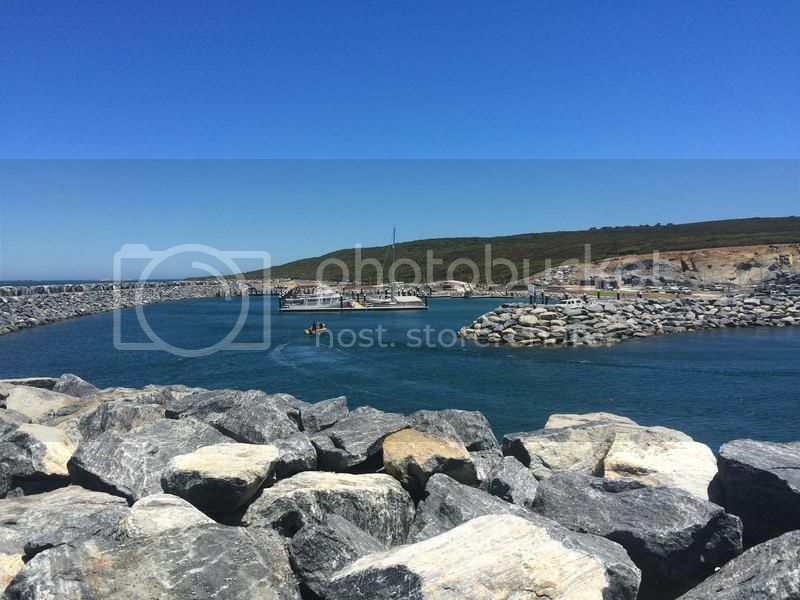 LAUNCH TYPE/Facilities - Concrete ramp, no finger jetties. I used this ramp over the christmas holidays and it has been upgraded. It now has 2 concrete ramps with a finger jetty in the middle. No more getting feet wet. No more drop offs at the end of the ramps. I was only launching a 5 meter fiberglass, but it should be easy to launch big boats there now. but it's a total disaster in winter. Completely weeded out with up to 6ft of weed heaped up on the ramp all the way into the carpark. Had heaps of trouble with boat fully loaded with stores etc for our trip. Small boats no problem, larger boats be aware, especially loaded. Ramp at acute angle. As the tide goes out the angle of ramp gets steeper. looking at putting my kevlacat 24 footer in oct 2011 for montes trip. what do you think. will i be ok on high tide fully loaded. May be a bit tricky mate. May be a bit tricky mate. You would want a high tide to launch at the ramp, but then you probably have to cross Du Boulay creek with 3 feet of salt water in it. Maybe if you get to the ramp as the tide is still rising, then wait a couple hours till you think you have enough water. A second vehicle with tow rope is quite handy when you retreive as the pebble ramp has shocking traction if you are retreiving a heavy boat. For the difference the extra 20 miles from Onslow or Dampier makes with a boat that size, I would just leave from one of those. Depends where you are coming from I guess. - DEC fee to enter the National Park area in which the ramp is located. Otherwise free. - First sand bar generally has at least 0.8 metre or more of water coverage at low tide, but if unsure, there are markers to the north west to assist (it's just a lot further). Denham Sea Rescue only provide coverage, not log on / log off. A second ramp has been installed on the other side of the finger jetty. 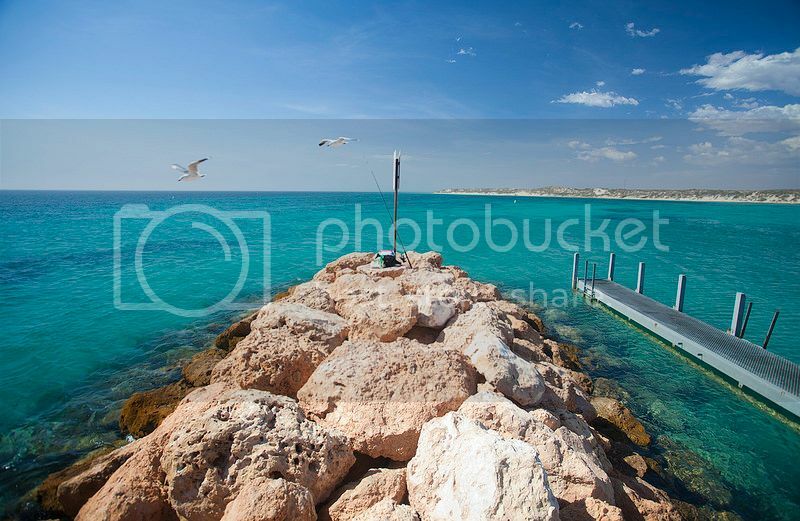 Theres a great boat ramp in busselton, Port Geographe something. I've seen people put in 8m glass boats and take them out no problem. We take our 4m dinghy there and its always heaps calm with no swell. Ramp is protected, and its great fishing at 4 and 8 mile. The current facilities will be demolished allowing for the construction of a new three lane launching ramp and associated facilities. The car park will also be upgraded to include an additional 15 trailer bays, and upgrade drainage and landscaping. Closure signs will be installed at the entrance to the car park and protective fnecing will be erected around the work site. Ok, finally worked out how to post with Hutch's help. 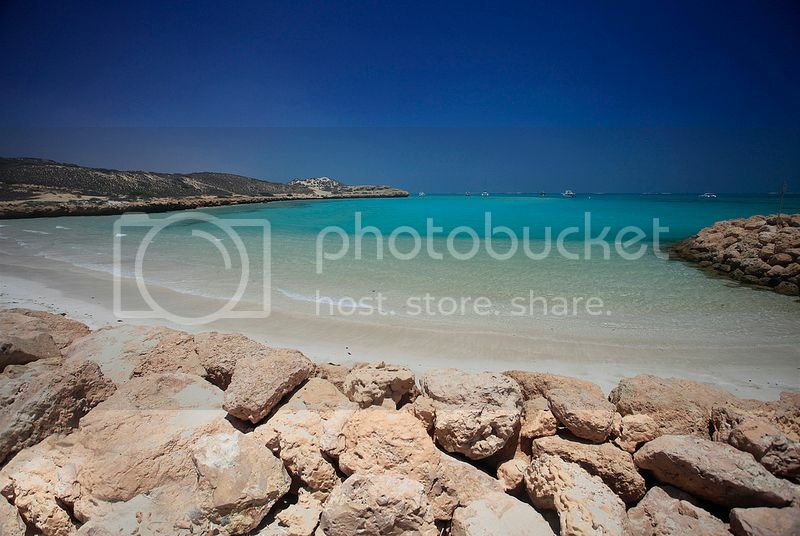 .. A lot of fisho's on this forum would be very familiar with Kalbarri anmd the mouth of the Murchioson River. But as no-one has yet posted anything about it, I thought I'd contribute by posting some info for those may have not yet made the trip. 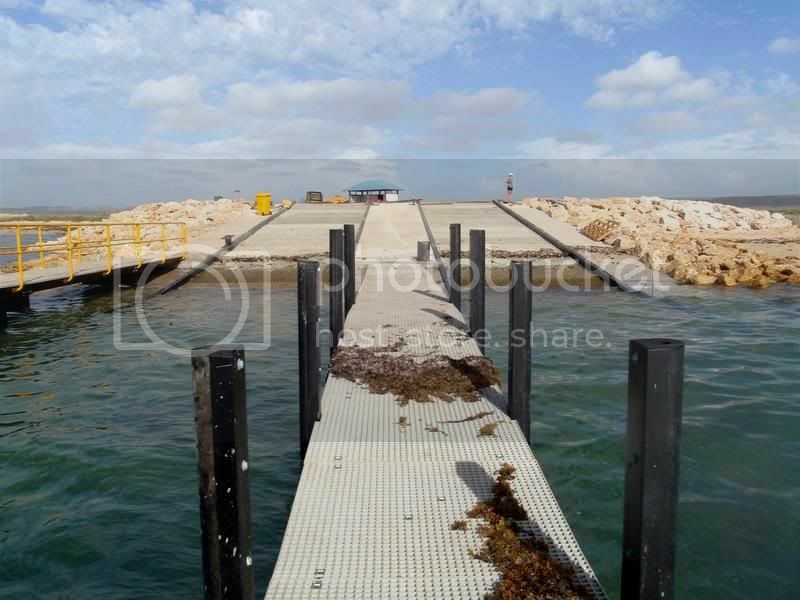 The first photo is of the main ramp, closest to the rivermouth. Useable at any tide, with a floating pontoon finger, good gentle slope. Car parking for this ramp. Reasonably crowded during holidays, but not badly so, as the other newer ramp up the river takes the load off. Surge could be a bit of an issue some years back, but, as the sandspit regenerated itself, no longer any problem. Good shelter from most wind directions, although a strong N'easter could cause some issues, which can be dealt with by choosing the right side of the pontoon. Also the headquarters for VMR Kalbarri. Momitored remotely from volunteers homes during quiet periods, please log on and off, frequencies are posted at the ramp. The other ramp mentioned is situated just north of the boat pens. originally a landfill area created during the excavations for the pens, it was used as a rough ramp until the area was sealed and a ramp added a few years ago. Technically a double ramp, but with no divider and an orientation that seems to catch any wind at 90 degrees, you'd want to be brave to share it with someone else. Also quite steep, with stray rocks off the edge at very low tides. Good parking, plus more unsealed area out of camera shot. And straight across the road from the bottle shop and fuel. There is no 24 hour fuel available, BP is 6-6, 7 days a week.As is the IGA, although it is no longer trailer friendly since the additon of the big awning supports out the front. Also available from the Post Office near the jetty, 8-5 weekdays, 8-12 saturdays. 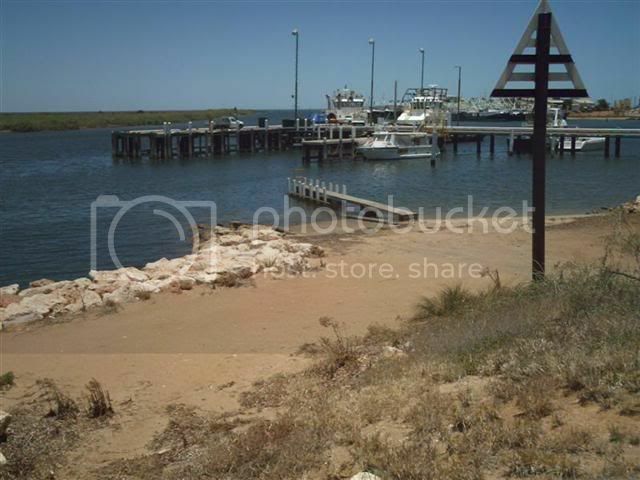 Bait is also availbale at Kal;barri Sports, the BP, IGA, and kalbarri Hardare out at the LIA. This hardare shop also has some boating spares. A lot of people have come to grief in the rivermouth over the years, but it is actually a very good entrance if used properly. The area in the picture below, shaded in red looks tranquil in that photo, but, on a falling tide and even a small swell, it breaks constantly and sharply, as it comes up out of deep water. Most common accident there is broaching, and ending up on the reef. Easily avoided. Stay over towards the green markers, plenty of room to pass vessels travelling in the opposite direction. And don't turn west too soon after passing the black rock as you leave the mouth, it is shallow for around 100 metres north, more in any swell. Using the mouth in a heavy swell is best avoided by small boats. There are green and red nav markers on all obstructions. Are there markers to line up on when coming in? Last time I was there in 2013 it was on a wing and a prayer finding the entrance. No, the markers are there purely to mark the extent of the channel, not as lead markers, ie keep the green on your right when ENTERING port. I should have marked a good path on that last photo--it's all as clear as the proverbial looking at when it is that calm, less so if the swell and wind have come up and you are coming back in. But still pretty simple. The water is deep, and I mean up to almost 10 fathoms right up the reef on your left as you enter, UNTIL you get to the bit where I have marked it in red, where it comes straight up to very shallow. If there is a swell running, there may be a fair bit of white water through there, but it will be over deep water as long as you stay away from where I have marked. once you are north of the second green marker you should be veering away towards the mainland reef to take advantage of the deep water, particularly if there is any swell running. Coming in, the same thing in reverse--stay over toward the reef on your left until you are getting towards the outer green marker, then head over towards the west side of the channel to avoid the shallow water . I'll see if I can dredge up any pics with a bit of swell running, it might be more clear. Both times I came in the wind and swell were up and it was hard seeing anything so like I said it was on a wing & a prayer trying to use my trail on the GPS. 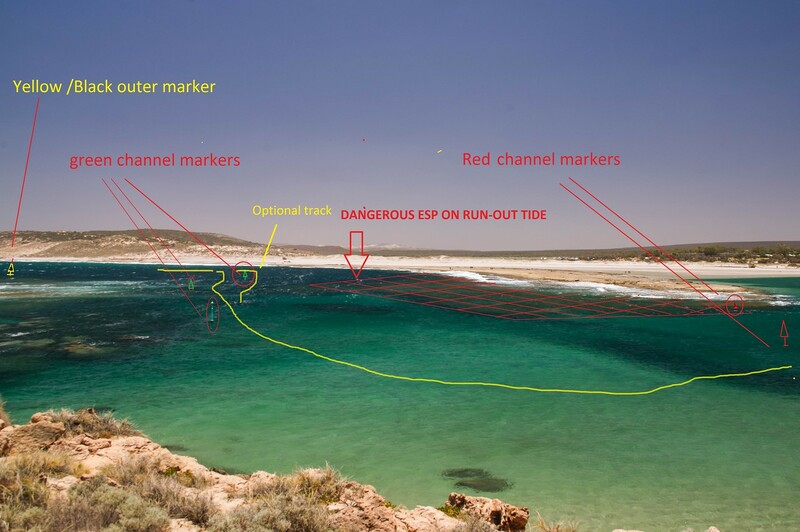 I have updated the picture in the original Kalbarri post to show the new markers in the rivermouth, but cannot remove the image in the subsequent reply to a query. Adam, could you copy the picture over ?